Transferring fine powders and powder mixtures into uniformly porous, practically dust-free, soluble and meterable granulates is what Glatt's new GF Modflex plant concept achieves in an endless loop with consistently top quality and safety. Glatt launches phosphorus recovery system and compact fluidised bed agglomeration solution. "PHOS4green" converts sewage sludge ashes into high-quality fertilisers and "GF ModFlex" offers continuous production after just 12 days for installation. 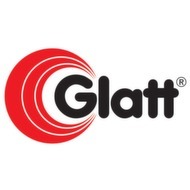 Glatt presents several new developments, including a compact system for continuous agglomeration and a modular control system that is easy to customize. At Achema, Glatt will showcase several new developments, including a compact system for continuous agglomeration and a modular control system that is easy to customize. TTC-Workshop "From Nano to Macro" zum Thema Engineering across the lenght scale. The possibilities for particle design and particle engineering using fluidized bed processes generated intensive and interesting discussions. Granulation, coating processes and innovative APPtec-based high-performance materials were in the spotlight - The record attendee numbers at the 20th edition of Powtech (Nuremberg, Germany) delivered a rush of visitors to plant manufacturer Glatt Ingenieurtechnik’s stand. Glatt has launched a new internet platform that explains how its latest technology offers virtually limitless possibilities for developing tailor-made high-performance powders. On the new microsite, Glatt presents its revolutionary thermal process for powder synthesis, APPtec. Essential oils contain the power of nature. To use this power companies aspire to modern process technology. Because the Microencapsulation in closed cycle mode ensure high-quality products as well as efficient production process. In a world of short-living products, flexibility of production equipment may give the leading edge on the market. For fluid bed processes, Glatt has designed and installed this flexibility in large scale. The new Glatt innodryer allows a gentle drying of herbs and other temperature sensitive products. The valuable ingredients of the herbs are maintained during the drying. The energy consumption is only a fraction of conventional technologies, the company says. Flowability, dustlessness and easy dosing — these are some of the plus points of granulates produced by fluidized or spouted bed technology. The product design can be specifically influenced by process engineering. Russia's biggest private oil group Lukoil commissions Glatt Ingenieurtechnik again with the construction of a plant for the production of sodium cyanide (NaCN), a chemical that is mainly used in gold mining. In Scandinavia, Glatt Ingenieurtechnik completed a fluid bed plant for continuous additive coating with a capacity of several tons of additives per hour. Glatt equipped its Procell mobile fluid bed Labsystem with a new WIP (wash in place) option. This feature helps to recreate and test cleaning steps in scale–up processes, the manufacturer says. At the end of 2009, one of the world’s largest spouted-bed granulation systems started up at Dresden-based contract manufacturer IPC. The company’s new ProCell 250 from Glatt Ingenieurtechnik provides unprecedented flexibility for agglomeration and spray granulation processes.